Members of the Fraternal Order of Eagles are required to renew their dues by May 31, 2017. 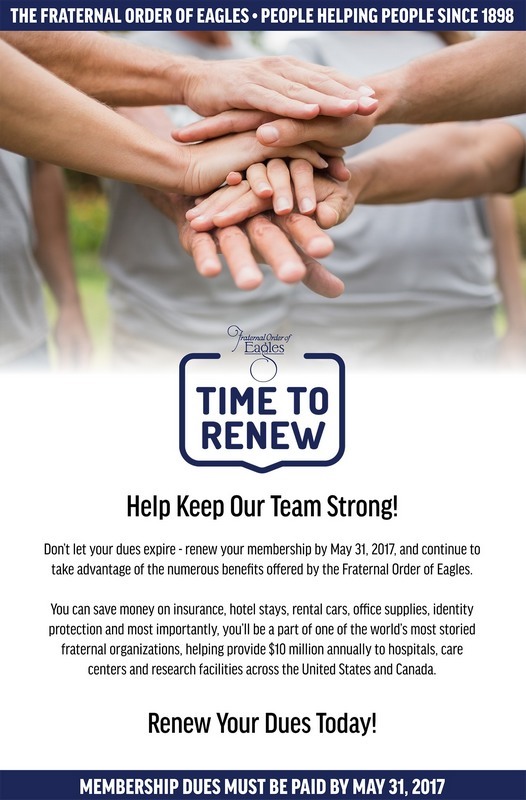 If you’ve yet to renew, act now and continue to take advantage of the great benefits offered to members of the Fraternal Order of Eagles through May 31, 2018. If you’ve already renewed for next year, reach out to someone you know who has yet to renew their dues and encourage them to remain a part of the F.O.E.